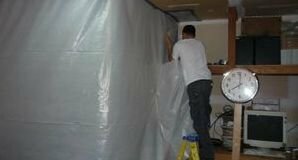 Keeping your house protected against floods and leaks is one of the main goals of every customer, and our water damage Cleveland Heights leak repair agents of 911 Restoration Cleveland strives to provide that customer with excellent home restoration service at all costs. Our experts make sure to always put the customer’s interests as our priority number one on every project. Moreover, we always bring the latest drying technology to each job site. In the instance that water damage affects your home, the Cleveland Heights water cleanup crew will be at your property within 45 minutes of your call, fully equipped to start the water extraction procedure. If too much time transpires a mold infestation will grow on the damp areas, potentially causing a huge health hazard. In order to keep your family safe, clean and mold-free, call the IICRC certified Cleveland Heights plumbing pros to come and take care of your home today. Sometimes water damage happens and there is nothing you can do to prevent it. Whether it’s a spill or a flood, your wood flooring is at risk of getting ruined when liquid is poured, spilled or leaked onto it. Keep Your Floors Dry. Immediately clean it up by using an absorbent towel or sponge. Use household products to remove stains. Apply toothpaste or mineral oils with a soft cloth and gently buff out the area. Remove the floor’s finish to more easily remove stains. 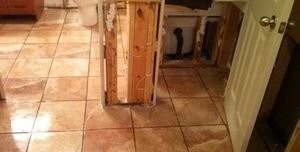 The water damage Cleveland Heights crew will be able to get rid of the finish and replace it with a new one altogether. This will make your floors look like new again. There are ways to begin the cleanup process, in order to minimize the damage, while you wait for the licensed, bonded and insured Cleveland Heights water extraction team to arrive on the scene. With so many years of experience backing us, the Cleveland Heights water removal techs know how to help the customer restore any type of flooring, as well as all other water restoration instances. Knowing that the water damage is not going to cost the homeowner an arm and a leg is as important to us as it is to the customer. The Cleveland Heights flood cleanup staff never wants to see someone go without proper home restoration. Our offices are open all year round and available 24/7/365, because the Cleveland Heights flood removal team knows how important timeliness is when it comes to any type of water-related remediation. Experts with 911 Restoration Cleveland know that these times can be quite difficult for people, and that is why we walk our clients through every phase of the project. In order to make sure that everyone can afford our services, we offer free home inspection, we keep affordable and we work with all major insurance companies. Please call Allen and our water damage Cleveland Heights disaster agents with 911 Restoration Cleveland, so they can begin to give you a fresh start today!